Whether you’re suffering from a seriously depleted bank balance or carrying a few extra pounds post-Christmas, there are several reasons why your personal style may be taking a back seat at the moment. 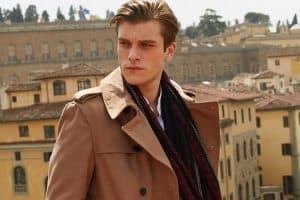 But it’s time to buck up and look sharp – 2015 is just around the corner and the start of a new year is the perfect time to re-evaluate and refresh your personal style. After all, our wardrobes and looks can quickly become stale if we don’t experiment and push ourselves to try new things. 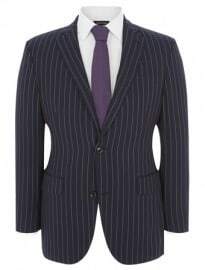 Striped tailoring is a key 2015 trend that can be easily adapted to your personal taste and confidence level. 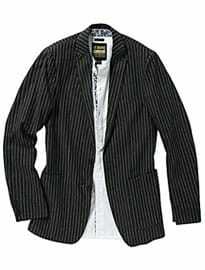 Classic tailoring devotees will appreciate the return of the pinstripe suit (as seen on the SS15 runways of labels such as Dior Homme), while those leaning towards the casual end of the spectrum can choose from boating blazers covered in colourful block-stripes, cricket-inspired designs, as well as sleek and contemporary monochrome versions. Early adopters have been spotted flouting traditional sartorial rules on stripes, clashing horizontal and vertical styles for an eye-catching contrast – something we’re not averse to, so long as you bear in mind basic colour matching principles and vary the thickness of the stripes to provide clear definition between pieces. 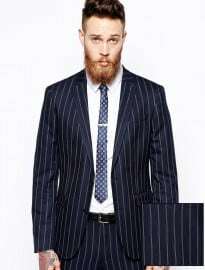 For example, try your pinstripe suit with a vertical striped (mid-width) dress shirt and diagonal/horizontal block-striped tie. For those who are a little more cautious, but still eager to try this trend out, why not opt for a classic button-down shirt with stripes that are slightly wider or in a more striking hue than what you’ve stuck to in the past? Your jeans – those trusty wardrobe staples that serve as a blank canvas for virtually any look you may decide to come up with – will be taking centre stage this spring/summer. The coming months will see many of us using our denim pieces – which go beyond jeans and trucker jackets to pea coats, blazers and even full suits for SS15 – in a slightly different way. Instead of anchoring your outfit, these items will become the focal point, as seen on the runways at Prada (where exaggerated jeans stitching and detailing made an impression) and Dior Homme (where denim came washed and paint-splattered). As far as silhouette is concerned, although we’re seeing slightly more relaxed cuts than in previous seasons, anything from slim to straight fit is your best bet for 2015. 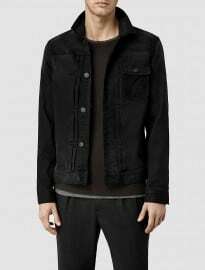 With designers continuing to re-interpret denim each season, it’s high time we started viewing this fabric as more than simply the makings of a sturdy jacket or pair of jeans. A welcome departure from the dark, sombre colours of winter, soft shades of green, blue, yellow and pink will soon be dominating stores in anticipation of improved weather. If you’re looking to give your casual outfits an instant lift, opt for washed or garment-dyed pieces in pastel tones and lightweight fabrics such as cotton or linen. Remember that these are best teamed with neutral, warm-weather hues such as beige, white and light grey. Investing in a few key pieces now will set you up for spring/summer well in advance. For the (transitional) time being, what about a pale pink button-down shirt or a powder blue cashmere jumper, worn under your suit? If you’re game, then be sure to combine these pastel pieces with accessories that complement their soft and summery nature. For example, swap your dark brown brogues for a lighter tan pair, or try a tonal neck tie that’s a single shade darker than your shirt. Neckerchiefs, cravats, foulards… whatever you want to call them, they’re a great way to individualise your casual wear. Whether printed or in solid colours, these once comically flamboyant accoutrements are now legitimately wearable accessories, provided everything else in your look is on point. For ways to wear, look to Hermès, long-time proponents of the neck scarf, whose SS15 collection saw vivid, printed scarves draped around the neck to brilliantly set off looks in beige and navy. Contrary to the popular opinion that neckerchiefs only work with tailoring, they in fact pair well with knitwear, tees and casual shirts, as long they’re tied and placed correctly. Make sure your neckerchief looks 100 per cent effort-free, even if it did take you an hour to get the knot right. Whether you pick an oblong, square or diamond-shaped scarf, remember that size matters: the more fabric you have around the neck, the more skill it takes to tie. Try to find/create a knot that’s personal to you, or channel your favourite reference – be it cowboy- or French Riviera-inspired. We’ve spent a good chunk of the past decade trying to navigate the relatively uncharted territory of ‘man bags’ – from ‘murses’ to ‘mlutches’ – with varying degrees of success. In 2015, we’re coming full circle and bringing the backpack back like never before. 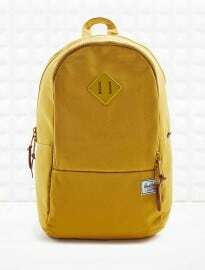 Designers blew the familiar backpack up for spring/summer 2015, giving this functional mainstay some groundbreaking treatments. At Fendi, there were bold fur-covered styles, while Versace’s over the top, fully equipped rucksack suddenly made backpacking look a hell of a lot more luxurious. 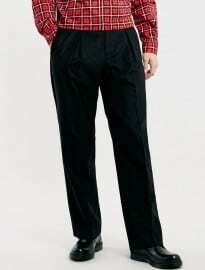 If you’re not planning on a getaway any time soon, then you could look to wear one of these with your suit to work. Keep it sober, in high-grade leather, and definitely monochrome (think black or slate grey). The classic round, zip closure backpack with minimal detailing is your safest bet. Now’s the time to give your holdall and briefcase a much-needed break. Clothes could be set to get a little roomier in 2015. 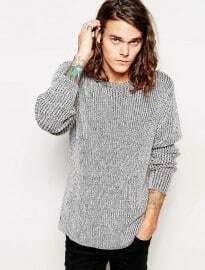 But don’t panic, this doesn’t mean you’ll be going back to baggy, 1990s-inspired skater styles. 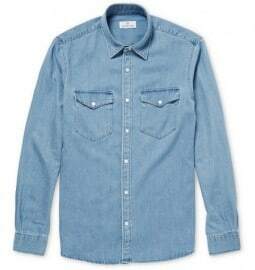 Rather, we’re finally moving away from the skin-tight tailoring and denim that has epitomised the last decade. Given their popularity on the runways and growing presence on shop floors, wide-legged trousers and roomier shirts aren’t just a trend but a new and burgeoning direction in menswear, changing the way we dress for the long run. If you’ve been growing weary of confining your fit to slim or skinny, 2015 is the year to branch out into straight cut legwear, boxier suit jackets, longline tees/shirts and lounge wear separates that drape around your frame rather than cling to it. Bottega Veneta’s Tomas Maier wholeheartedly embraced the wider silhouette for spring/summer 2015, showing both tailored and sporty pieces that were cut generously. If you’re going bigger for 2015, just remember that this look is all about easy, fuss-free elegance and not lazy messiness – be sure to get the balance right. Whether you want to build on or completely start afresh style-wise, these six suggestions won’t fail to keep you looking first rate in 2015. Will you be giving one (or all) of these suggestions a go? What other ways will you be switching up your style for the coming year?